Open Sky Jazz | With Open Sky Jazz, the possibilities are endless, just like the music. 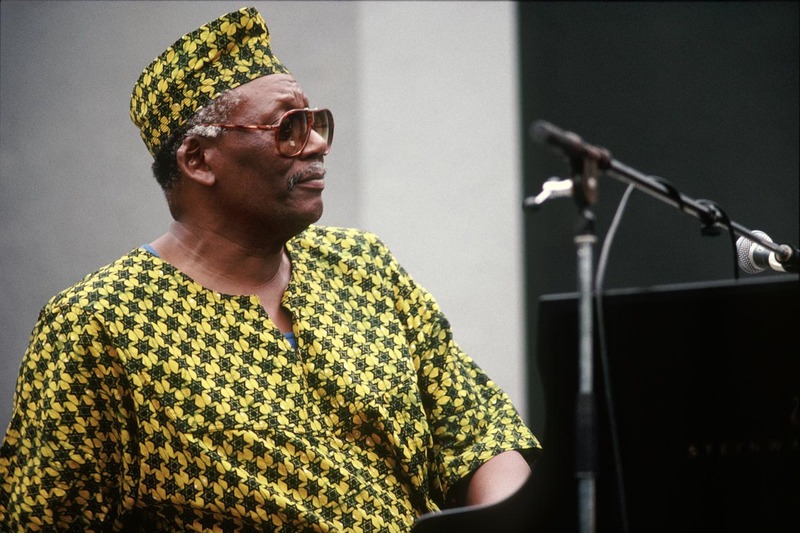 On Saturday, September 1, 2018 NEA Jazz Master and tireless African world inquisitor RANDY WESTON passed on to ancestry quite peacefully at his home in Brooklyn. That morning he had arisen from bed, gotten prepared for his day, sat down in his favorite easy chair within reach of his Bosendorfer piano – the one with the extra keys and rich bottom end that lent further depth to his frequent lower end keyboard forays – nodded off and joined the ancestors. No illness, injury or accident befell Randy Weston; I suppose somewhere deep inside he felt his work was done on this earthly plain and it was time to join his beloved ancestors; his fabled quest for the Spirits of Our Ancestors (title of one of his greatest records) concluded as he split to dance with and consult those very same spirits he constantly pursued throughout his 92 years on the planet. 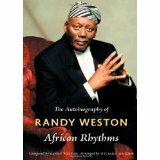 My personal relationship with Randy Weston was indeed life-changing, both for myself and my family. I had met Randy down through the years at jazz functions, but a seemingly chance encounter marked the beginning of our much deeper relationship. In 1995 I took a magazine assignment to cover the Montreal Jazz Festival, arguably the world’s largest such event. Andre Menard, the festival’s longtime artistic director, had some years ago developed an idea that came to be the event’s creative heart, their Invitation Series. Each year Montreal invites multi-faceted musicians to perform in their favored band settings and special projects over consecutive evenings, the idea being that each evening would explore a different facet of the invited artists’ creative output. 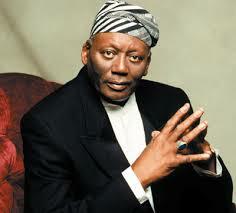 For the 1995 Montreal Jazz Festival the featured Invitation Series artists were Randy Weston and saxophonist-bass clarinetist David Murray, who had earlier made a duo recording together (The Healers) for the Black Saint label. So the festival arranged for Murray to start that year’s Invitation Series with several different performances, including with the World Saxophone Quartet. 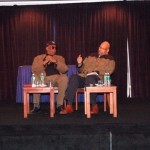 The culmination of Murray’s dates was a duo concert with Randy, thus passing the baton for Weston’s series of dates. Randy opened his series with the stellar trio of Billy Higgins on drums and Christian McBride on bass, augmented by a Montreal string orchestra, playing Melba Liston‘s sumptuous arrangements, which eventually resulted in Verve issuing the gorgeous live recording Earth Birth. What followed was an evening with Randy Weston’s African Rhythms band, and a blues evening featuring fabled Mississippi bluesman Robert Junior Lockwood ably filling in for an ailing Johnny Copland, arrangements once again by the redoubtable Melba Liston, which had resulted in the Verve release Volcano Blues. Suzan and I had been positively thrilled by those consecutive evenings of Weston’s oeuvre, but alas our flight plan meant missing the culminating evening of Randy’s Invitation Series. That Saturday afternoon we checked out of our hotel and in the hours remaining prior to our airport shuttle time we decided to stop by the festival’s press office at the Hotel Le Meridien to thank the personnel for the extraordinary grace they’d exhibited all week in assisting our coverage efforts. On arrival we were informed that Randy Weston would be arriving shortly for a press conference. With time to spare before our departure we relished the opportunity to hear from this man whose evenings had been the highlights of our journey. Soon Randy strode into the press room to meet his inquisitors. After plenty of all-smiles bantering and questions, at the conclusion we walked up to greet Randy. When I reached out to shake Randy’s hand, Suz recalls vividly Randy saying “…what are you doing up here with me…,” laughing at our respective shared out-sized heights; its not often people of our respective heights get to look people straight in the eyes! Suz told Randy how deeply we had appreciated his Invitation Series evenings, but regretted that we’d be missing the final evening of those performances to catch our flight home. “But you can’t leave,” Randy said with obvious concern, “tonight we’re going to Africa!” Seems that evening’s performance was dedicated to his partnership with the Gnawa Master Musicians of Morocco, a fertile collaboration I was to become totally entranced by in the subsequent years. As I stood there chatting with Randy, I barely noticed that Suz had slipped away to parts unknown – perhaps the restroom I surmised. A few minutes later she returned, in no uncertain terms informing us that she had subsequently phoned the hotel and gotten us a room, and arranged a day later flight with the airlines (this was in the good old pre-penalty days of airline travel), and by God we were coming to Randy’s concert that evening! 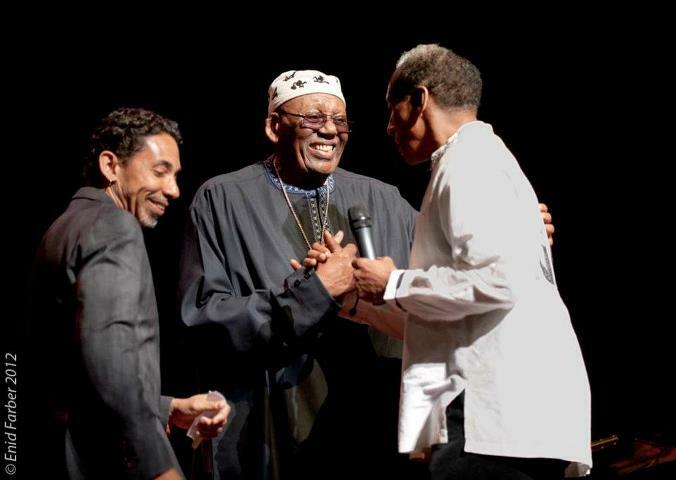 That bit of serendipity proved to be a direct thread to several years of collaborations and interactions with Randy Weston, including some curating work for 651Arts on a grand evening reprising Randy’s penultimate composition, the suite Uhuru Africa. 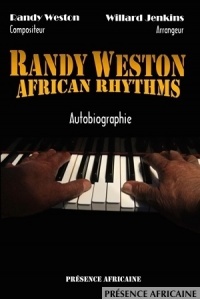 In 1998 we began the exhaustive work of chronicling Randy Weston’s autobiography, which became the book African Rhythms (Duke University Press), which has subsequently been published in French translation by the good people at Presence Africaine, apropos the great love for Randy in France (where he once resided in the beautiful mountain town Annecy, and where he met his bride Fatoumata at her shop in Paris) and Morocco. For your reading pleasure and to mark Randy’s passing and homegoing, we’ve re-posted Chapter 1 of African Rhythms in the Independent Ear on this site.